Libya’s rebels have tasted the victory and reject their opponents’ proposal to negotiate a peace treaty, making final arrangements to finish the war by storming Gaddafi’s native city of Sirte, while the capital’s residents lay low anticipating chaos. 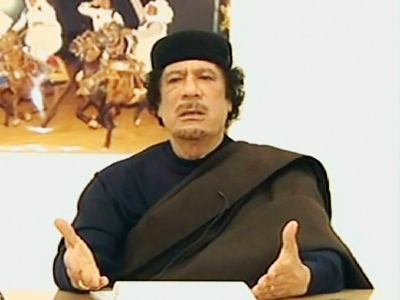 ­The rebels in Libya have rejected the possibility of staging talks with Muammar Gaddafi. The National Transitional Council (NTC) says they want to see him in jail and not at the negotiating table. NTC Information Minister Mahmoud Shammam made their position quite clear – they want Gaddafi and will search him street after street, district after district, to jail him. The NTC chairman Mustafa Mohammed Abdul Jalil has proclaimed that “Gaddafi is still a threat to Libyans and entire world”. The current spokesman for the rebel military Libyan Air Force, Colonel Ahmed Omar Bani, has announced that rebels have freed some 10,000 prisoners from jails in Tripoli, without specifying, though, if all those prisoners had been jailed by the Gaddafi regime on political grounds or how many of those freed were ordinary criminals. Bani also claimed that as many as 50,000 people are unaccounted for. 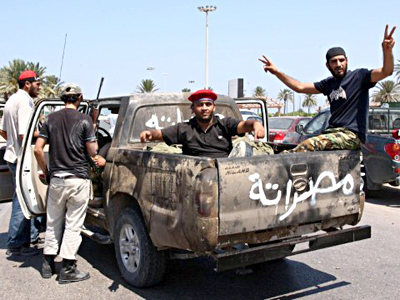 Recently, the rebels announced that the Gaddafi regime executed dozens if not hundreds of prisoners once the rebel forces entered Tripoli. In the meantime Mustafa Mohammed Abdul Jalil, the chairman of Libya's rebel National Transitional Council, rejected the idea of sending Gaddafi – if captured – to The Hague International Criminal Tribunal. The NTC leader explained his country had never joined the Rome Statute of the International Criminal Court, so in this case the Libyan jurisdiction has priority over the international one. Muammar Gaddafi and his son Saif al-Islam are wanted by the ICC in The Hague for alleged war crimes. Yesterday Gaddafi’s spokesperson Moussa Ibrahim announced his party is ready for talks with the rebels to form a transitional government and that Gaddafi’s third son Al-Saadi would be leading these negotiations – but to no effect. A week ago, on Sunday, August 21, the rebels, heavily supported by NATO Air Forces and elite British SAS groups, together with French Foreign Legion commandos, undertook a successful assault on Tripoli, announcing the Libyan capital was under their control and that they would capture Gaddafi is a matter of hours. But a week passed and the shooting on the streets of Tripoli is still going on, with swollen corpses lying here and there, and with nobody going to bury them. 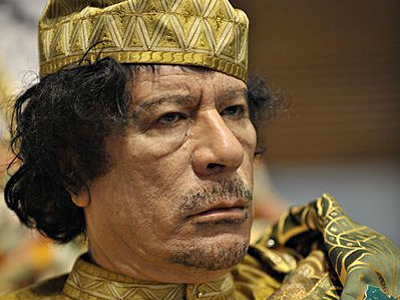 And just like one week ago, nobody can tell for sure the whereabouts of Muammar Gaddafi. Still, it looks like the rebels are doing well, preparing for the “final battle” – an assault on Gaddafi’s native town of Sirte. Sirte is 600 kilometers to the east of the capital, Tripoli, and the rebels are now just waiting for the NATO forces to clear the path. At the same time rebels claim they held talks with Gaddafi’s supporters in Sirte to avoid a military operation that promises to be a bloody one: the citizens of this town must have gloomy suspicions about surrendering at the discretion of the Al-Qaeda Islamists that constitute the backbone of the Libyan rebel army. 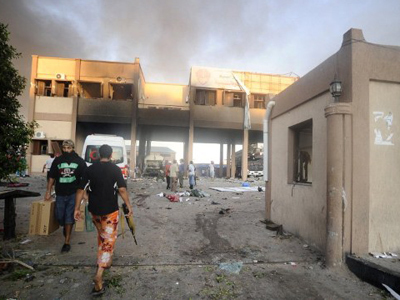 If the negotiations bring no result, the assault on Sirte will start within the next two days. Today the citizens of Tripoli are struggling for survival, facing severe shortages of electricity, food, water and gasoline. Garbage together with unburied bodies are rotting on the streets, some citizens are trying to clean what they can. The Tripoli Council says between 60 and 70 per cent of Tripoli residents do not have enough water or electricity due to “technical conditions”, emphasizing it is not linking directly the shooting on the streets to the humanitarian disaster in the city. The situation is quite dangerous on the streets of Tripoli so people are afraid to leave their homes. There is a fear of anarchy because there are no police, so volunteers armed with machine guns – given to them by Gaddafi’s regime – are patrolling their streets to protect their families and neighbors. Nobody knows when there will be the end to all this. 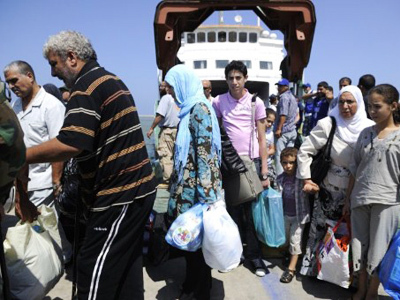 Dr. Udo Steinbach, a Berlin-based Middle East expert and former head of the German Orient Institute, says that the situation in Libya is indeed critical in terms of support of the population and security. 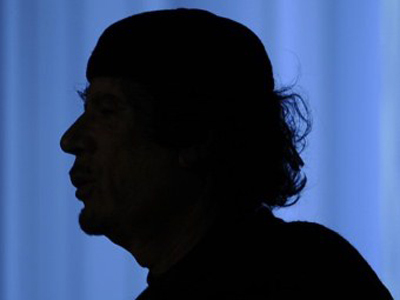 “The next step should be to find out where Gaddafi is and then try to stop fighting,” he said. 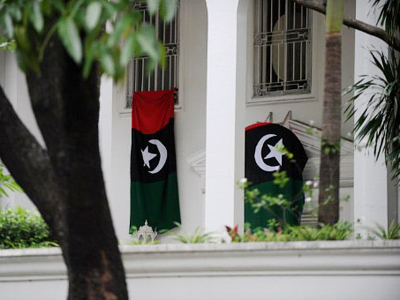 Steinbach believes that after finding Gaddafi political decisions should follow, such as legitimizing the National Transitional Council through elections in the country. 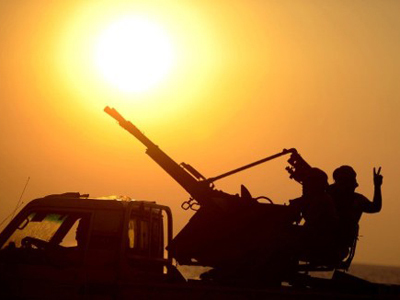 However there is no doubt that the following months will be challenging for both people of Libya and the NTC. Dr. Yehudit Ronen, who's a Middle East expert and professor at Bar Ilan University, is sure that Libyan forces will do their best to manage the fragile political and economic situation in their country. 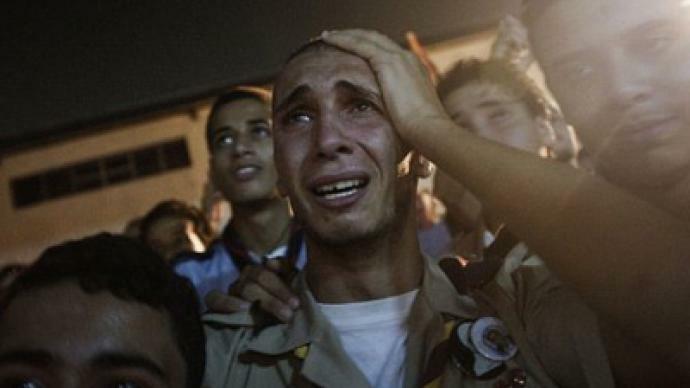 “They know that Libya is entering a new era and facing new challenges and threats. They [NTC] are the only organized body with connections with the West, which could provide new Libya with solutions,” she said. ­The World Health Organization and the UN are expected to send humanitarian aid to Tripoli amid hope that this will improve the situation in the city. A vessel with humanitarian aid that has arrived to Tripoli from Malta on Saturday has brought several tonnes of pet food to a city living on short rations, reports RIA Novosti news agency. The cargo has been unloaded in the port, but the agency’s reporter says he has not seen any animals – either pets or stray animals – on the streets of the Libyan capital. ­Dr. Franklin Lamb, the director of Americans for Middle East Peace, is currently in Tripoli and he believes NATO will not leave Libya anytime soon. “NATO is now a part of Libya in a different form until there is a new strong leadership here,” Lamb shared.